The downhill cycle into work is always exhilarating - this morning it was cold enough to make my forehead throb and chin burn. 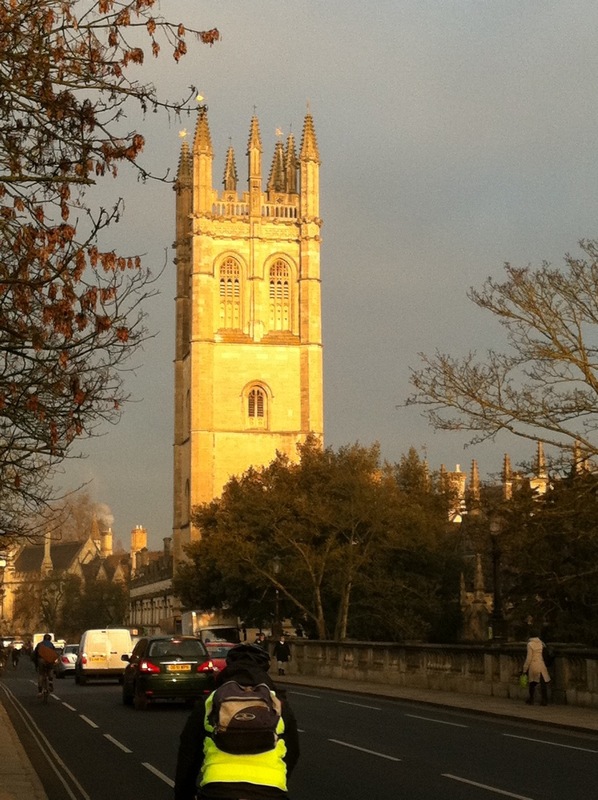 My eyes and nose were streaming as I hit the flat at St Clement's, and through the snotty, teary blur, Magdalen Tower appeared to almost sparkle. The phone-camera doesn't quite do it justice.